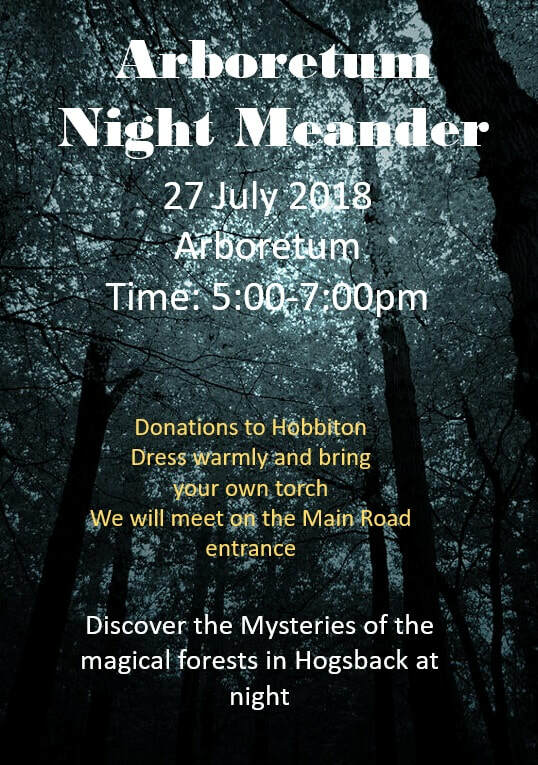 There are a lot of things that can go bump in the night and that can maybe be scary, but here in Hogsback, nights are magical affairs and to spend some time in the forest, taking in the night sounds, can be truly wonderous. Not only do you have the gentle whispers of the trees, you also have the Milky Way of stars beckoning beyond calling us to think about far away galaxies. Then there are the little forest animals rustling around the tree trunks, when they should actually be sleeping! We will also look for nocturnal creatures who love playing around at night. There will also be some quiet time to reflect on the wonder and beauty of the nature around us. An experienced guide from Hobbiton will be leading this excursion. Hobbiton is an outdoor educational adventure centre, specialising in creating exciting educational experiences. You will also learn about the good work that they are doing in our community and for less fortunate children. Please support their good work!